Correction: We received a few emails from sharp-eyed industry figures who pointed out that we had the incorrect answer listed for aluminum quiz No. 9, regarding technician claims about a Hemlock Rivet. Give yourselves an A+ and extra credit. The answers have been corrected accordingly, and we have been sent to detention. 1. 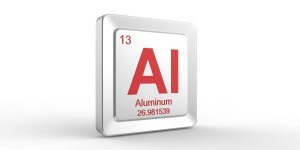 Technician A states that aluminum oxide protects the aluminum from corroding. Technician B states that weld thru primer is needed when welding aluminum. Who is correct? 3. Technician A states that 100 percent argon with a 4.6 purity is used for welding aluminum. Technician B states that the weld puddle can be pushed or pulled when welding aluminum. Who is correct? 4. Technician A states the annealing is the process of heating heat treatable aluminum to add strength. Technician B states annealing takes place at temperatures above 600 degrees Fahrenheit. Who is correct? 5. Technician A states that SPR’s (self-piercing rivets) use a 6.5 mm pilot hole. Technician B states that SPRs are high-strength steel coated with tin to prevent galvanic corrosion. Who is correct? 6. Technician A states the aluminum dust can be explosive. Technician B states that aluminum dust is a carcinogen. Who is correct? 7. Technician A states that aluminum has very little memory. Technician B states that aluminum is 30 percent stronger compared to the same weight of steel. Who is correct? 8. An aluminum door on a Range Rover is damaged, and weld-on pins are used to pull out the dent. Technician A states that if the aluminum is stretched, a heat gun, induction heated or butane torch can be used to heat the aluminum followed by rapid cooling (water) to shrink the aluminum. Technician B states that dye penetrant is used only for checking cracks in welds. Who is correct? 9. Technician A states that a Hemlock Rivet can be used to replace an SPR. Technician B states that a Hemlock Rivet needs access to the back of the panel. Who is correct? 10. Technician A states that aluminum melts at 1220 Fahrenheit. Technician B states that aluminum does not change colors when it melts. Who is correct? 11. Estimator A says that heat-treatable alloys may be repaired using heat. Estimator B says that non-heat-treatable alloys may be repaired using heat. Who is correct? 13. Which of these would be applied to a repaired aluminum panel prior to the application of body filler?